Microsoft released its Q2 earnings report of 2016. It is worth noting that its Lumia sales performance. The earnings report showed that Lumia devices were only sold 4.5 million units in Q4 2015. Its revenue declined by 49% (YOY). 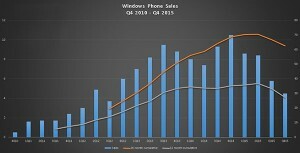 The worldwide phone sales volume was 399.5 million units, among them Windows Phone accounts for 1.1 %. The global market share of Windows Phone decreased to 1.9%. The sales volume of 4.5 million units Lumia fell back to the one in Q3 2012. Some analyst claimed the prediction of Lumia sales volume in Q1 2016 would keep declining. Even though the release of Lumia 650 would not help a lot for improving its sales performance. The need for smartphone in the global market seems to be saturation in 2016, it is a bit hard for Windows Phone to obtain more share. It is likely to experience the similar situation with Blackberry. Microsoft sold 10.5 million units of Lumia device in Q4 2014 which was its sales summit. It released Lumia 535 in November, 2014, meaning Nokia Lumia was replaced by Microsoft Lumia. The sales for Lumia kept declining since then. Lumia and WP systems also met their Waterloo in Chinese market. Tencent announced to end the launching of Windows 10 mobile QQ and Wechat. Tencent only use WP system for daily maintenance. Surface Phone is one of the most excited project that Microsoft works in now. Surface Phone is a part of Microsoft’s annual schedule. A discussion made on Reddit revealed the domain name surfacephone.com was obtained by Microsoft. When the users visit surfacephone.com, it will switch to Surface’s official website. It might be a bit early to say Microsoft is working on the Surface Phone project by judging from the acquisition of SurfacePhone.com. It might consider the protection of itself and its products in case its rivals to avail of its popularity. 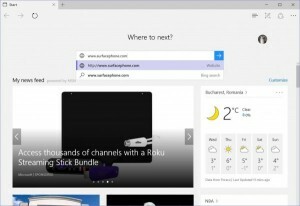 Besides SurfacePhone.com, Microsoft also acquired SurfaceCar.com. There is no sign that Microsoft plans to launch cars so far. The public does not know much about Surface Phone. But all of us hope it could be a more advanced device that is familiar with the performance of Surface iPad. It is runored that the father of Surface Panos Panay might be responsible for the Surface Phone Project. Therefore, the new device might be one of the most improtant events in Microsoft’s mobile field. Someone even revealed that Microsoft plans to add Win 32 into Surface Phone to be compatible with Continuum. Microsoft claimed that the company needs a device to obtain more share. Whether Microsoft starts the Surface Phone project or not, the consumers might confirm it in the second half of this year. If it is true, they will be able to access such device. Bloomberg reported that Apple predicted its iPhone sales in Q2 2016 would decline for the time since 2003. The reason for this prediction is that the smartphone market tends to be saturation. The exploration of Chinese market could not make up its former growing speed. Apple assumed its revenue for Q2 might come between $50 billion and $53 billion. It will be the first time that Apple suffers revenue decline since 2003. Such prediction is under the analyst expectation at $55 billion. Apple sales volume and shipments did not meet the expectation in Q1 2016. It intensifies the concern for iPhone sales volume has reached the peak which led to the decline of 20% of Apple share in the past 6 months. Even though it did not meet the expectation, Apple could still benefit a lot from iPhone sales performance. But it will be hard to make from from the popularization of worldwide smartphone process. Its rival Samsung announced its financial report recently, only to find it did not meet the expectation either. Apple CEO Tim Cook encourages to explore Chinese market, introducing Apple Watch and other service to China. However, it relies much on iPhone sales which led to affect of needs decline. 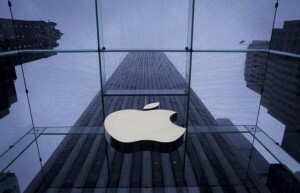 Mizuho Securities USA Abhey Lamba claimed that Apple owns other products and has ability to promote them. However, it is hard to make up the mistake left by iPhone slow growth. Fort Pitt Capital Group Kim Forrest assumed Apple faces two problems: whether the need of buying iPhone declines, whether the consumers purchase iPhone with the same speed that did in China. The latest news revealed that Samsung planned to establish a new studio in New York for making more elements for Gear VR. It is reported that Samsung announced such news at Sundance Film Festival in Park City, Utah. VR product becomes one of the most important elements in this Sundance Film Festival. However, Samsung did not reveal much information about this new studio. Marc Mathieu, Samsung’s chief marketing officer in US market claimed that the studio would be set in its existing business building and a special marketing team has worked in such building. In the meanwhile, Samsung announced to work with Sundance Institute for one year, while Sundance Film Festival is mainly held by Sundance Institute. Some analysts assumed the main reason why Samsung teams up with Sundance Institute is to develop its potential producers and creative talents. It is reported that Samsung’s exhibition stand attracted many consumers to experience its Gear VR. On last Friday, Childrens Hospital and The League took on Funny or Die website, their leading actors feel positive for the VR products. They consider VR as the best means to entertain brains. It requires more contents to appreciate if the VR technology would popularize well in the near future. Oculus VR once claimed that they would create more excellent contents for such technology at Sundance Film Festival. Oculus even hired Joseph Gordon-Levitt to promote its VR product. Oculus VR established its story studio and launched three VR films. VR product went to Sundance Film Festival in 2012. Nonny de la Peña introduced Hunger in Los Angeles then. The VR products increased much since then. It had 9 products in 2015, while it introduced 33 this year. 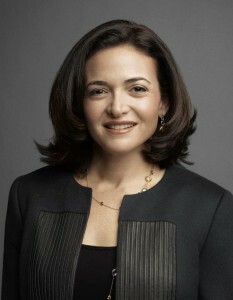 Facebook COO Sheryl Sandberg made a great decision to donate valued $31 million shares for charity. Facebook revealed this news in a document that submitted to U.S. Securities and Exchange Commission. Sandeberg donate 290,000 shares that valued at $31 million for charity. Sandberg is not only a senior executive of Facebook but also a popular female business leader in U.S. She motivated the females career in technology industry and published several books concerns female development. It is reported that she sold the shares dated on November 20,2015. Facebook has just confirmed this news today. She plans to establish the Sandberg charity fund to transfer the sum of selling the mentioned shares in the near future. Her fund plans to aid several charity events. Sandberg will avail a great partial money to female rights organizations, including Lean In organization that she established. She will also donate the money to the educational institutions and projects that aims to help the poor. She is keen on doing charities and did lots of donations in the past. She once signed The Giving Pledge that iniated by Bill Gates and Buffet. It means that she will donate much of its property for charity in her life. Mark Zuckerberg signed The Giving Pledge as well. He realized his promise and donated 99% of his Facebook shares. He was highly spoken for this donation. Due to the donation, Sanberg might be offered some special treatment concerns the taxing issue in the future. Will Apple offer free iAd advertising platform? It is reported that Apple will offer free iAd advertising platform. Apple launched iAd six years ago. There are reports indicating that Apple will give up the profitability of iAd. The content providers will earn bread by promoting ads on this platform. Apple will not charge 30% of earning as commission any more. BuzzFedd reported that Apple will dismiss the current advertising sales team of iAd. Apple plans to design this platform with automatic mode. The ads creativity, sales and management will be operated by content providers. It means the ads revenue will go to the content providers. ” The automatic mode is not what we specialize in,” said an employee from Apple Advertising sales department. There are not many specific details revealed from the insiders. However, BuzzFeed felt Apple will announce such news this week. If Apple carries out this strategy, it will stimulate more publishing groups to promote ad sources on Apple iAd platform. After all, its policy will help the advertiser save more expenses. Eddy Cue once claimed that Apple would offer self-serving Ad promoting tool among its news App. He implied the plan would carry out in two months. Apple launched iAd in 2010, however, iAd failed to become an one-stop Ad Exchange platform as it was supposed. According to the 2015 statistics, Apple iAd only took up 5.1% of market share in the online advertising business. Google accounted for 9.5% and Facebook took up 37.9%. The latest report showed Google self-driving car encountered 272 faults from 2014 to November, 2015. There would be 13 accidents caused without drivers assistance during the test. According to the document that submitted to California DMV, all of the approved companies that test self-driving cars should report the every detail of accidents. The drivers can assist to fix the faults during the accident occurs. There are 49 self-driving cars testing in California in the past 14 months, including Google Koala and refitted Lexus RX450s. Those self-driving cars finished the test with 424,000 miles. There were 341 accidents in total. When the accidents occurred, the self-driving car could let the driver to take control or the drivers interpose the driving. 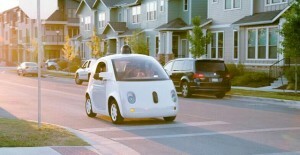 Google self-driving cars encountered 272 faults which involved in several component problems during the test, such as sensor reading errors, veer and brake system. When they encountered such component problems, the vehicle will produce voice or visible signals to warm the drivers to check. In most cases, the self-driving cars can fix the faults by themselves instead of the intervention of drivers. Google only reported some of the accidents to the California government. VW, Audi, Benz, Google, Delphi Automotive, Tesla, Bosch and Nissan were demanded to submit their accident reports with details by Jan 1st, 2016. So far, only Google revealed its details. 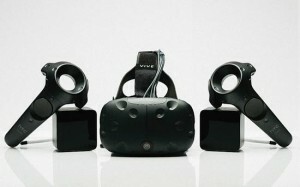 HTC introduced HTC Vive Pre at CES this year. HTC’s CEO Mrs Wang has confirmed that HTC Vive will be pre-ordered from Feb. 29. Mrs Wang claimed that HTC will specialize in VR technology and reduce the dependence of smartphone. She indicated that HTC becomes more practical. Smartphone is important, but the development of wearable devices and VR devices are even important. HTC teamed up with well-known game developer Valve to launch HTC Vive that allows users to totally enjoy the VR environment. Consumers need to wait until April for HTC Vive’s mass marketing. Its rivals include Oculus Rift and Sony PS VR. HTC doesn’t reveal the price of HTC Vive yet. Oculus revealed the sales price of Oculus Rift recently and the price of Sony PS VR was revealed in advance on Amazon Canadian website last week. HTC introduced its second generation suit of VR called Vive Pre. Its design is a big difference from its first generation that introduced at MWC in last year. The new design is more comfortable to wear and solid. HTC claimed that the new design will be able to adjust based on the sizes of heads. It is also comfortable to wear to those who wear glasses. It is installed with Sub Camera to check the surroundings when users wear them. It means users could handle some simple cases at hand as well as switch to the VR world. The problem that Oculus Rift and HTC Vive met is a few PC systems support the VR system. It costs about $1,000 to buy those PCs. It takes time to promote the VR products. Facebook just announced its latest data of Facebook Messenger, indicating that its monthly active users are over 800 million. Along with the the popularization of Instagram and WhatsApp, Facebook keeps leading the social networking market. From the data, we can see the rapid development of Facebook Messenger. Its Monthly active users were 500 million in November, 2014. It turned to 600 million in March, 2015, and 700 million in July, 2015. By the end of 2015, its MAU reached 800 million. Facebook Messenger performed better since it split off from its parent firm. In the past year, Facebook Messenger itself made a great change. It became an independent Messenger to log in Web. It launched video calling, Messenger ID, message request features that intended to replace the traditional calls. It offered payment function and intergrated to be a third-party app. “The mission of Messenger team is to make Messenger a better platform to communicate for people and enterprises from all over the world,” wrote in a blog of David Marcus, the vice president of product. 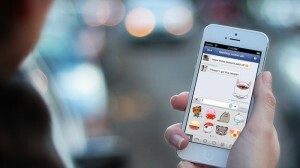 Facebook gradually put its focus on the FM from its products. Besides Facebook Messenger, its parent website’s MAU are over 1.5 million. Instagram obtained 400 million monthly active users, while WhatsApp obtained 900 million monthly active users. It is reported that Apple claimed its revenue of App Stores in 2015 made another record, exceeding $20 billion. Apple charges 30 cents as commission from each dollar that users spent at App Store. It indicated that App Store contributed $6 billion income for Apple in 2015. The rest of the revenue went to its developers. Such figures showed that App Stores play more important role in Apple revenues. Till September 2015 fiscal earnings, Apple received $233 billion revenue, among $53 billion was its net income. There are 1.5 million applications available at App Store which enhances Apple hardware’s attraction. 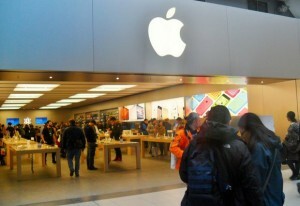 It helps consumers to distinguish Apple products from its rivals. App Store was initially made for iPhone in 2008. Apple added the applications which were compaitble with iPad then. Last year, Apple explored the software market for Apple Watch and Apple TV STB. Among the news release Apple made on Wednesday, it claimed App Store revenue was over $1.1 billion during Christmas holiday and New Year’s Day. Its revenue realized over $144 million on New Year’s Day. App Store grows with a rapid speed. There is sign that its growth slows down a bit as well. Its revenue of App Store increased by 50% in 2014, while it just increased 40% in 2015. Apple stressed that App Stores created 1.9 million jobs in United States, three-quarters of the job opportunities belong to developers, software engineers and entrepreneurs. Is good news to wearable manufacturers that Apple Watch Series 2 featured with fitness function? Will Snapchat launch AR hardware for joining Bluetooth SIG?